On April 15th, Ched Wagner, Manager of Nvsted, is hosting a panel discussion at EQ Leadership Labs on Crowdfunding Your Business. Although running out of cash is the second most common reason for startups to fail (yes, second, the first is actually no market need for their product), startup founders often find themselves stumped when determining how to successfully capitalize their company. In the beginning stages of a new business figuring out the best way to raise money is not always a high priority – at least not while the cool new widget or sleek mobile app you are working on is demanding all of your attention. Learning about different funding mechanisms can seem like a daunting task, especially when your company begins to gain traction and you suddenly must raise money or risk missing the big opportunity in front of you. Start up companies have a myriad of funding options, but let’s go over a few of them to send you out there with the tools necessary to raise your next stage of capital. The first stage of the continuum for most start ups is funding that comes from the founders themselves and any friends or family who want to offer support. Even though the average funding for this stage hovers around $30k, nearly half of all startup capital raised in the United States can be attributed to this type of funding. Investors often commit upfront to providing a certain amount of capital to the company in exchange for a title and/or a share of ownership, many times risking their personal finances in favor of their conviction. Can I afford to fund my business myself? What is the maximum I will invest and how long will that allow the business to run? What can I hope to receive from my family and/or network? Am I comfortable letting family invest in my risky startup business? How will I structure the investments I receive – will it be a loan, or equity? After asking (and answering) these questions, you should have a better idea of how to move forward through this first stage of raising money for your new business. If your startup requires more than you or your friends and family can afford to risk, angel investors are often the next option in the funding continuum. Individual angels regularly invest anywhere between $25k and $100k, while formal groups of angel investors often have the ability to commit between $250k and $1M to the companies they choose to invest in. Across the United States, angels invest in about 62,000 companies each year for a total of $20B. 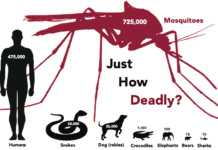 Yet, these large numbers do not mean it is easy to raise money with angel investors. Since angel investors typically have substantial investment experience, they want to be involved in deciding the terms of the investment your company is offering. This typically means the startup founder must make some concessions in order to make the investment opportunity more attractive (think Shark Tank-style negotiations). A real, tangible benefit of working with angel groups is not only the access to their capital, but also the access to their networks, which can come in handy when you need to find additional investors later on or if you need to find someone with knowledge of your industry, geography, or customer base. If I do not get angel investments, will my business be able to survive? In addition to capital investments, what type of knowledge or access am I looking for? How much equity in my company am I willing to give up for angel investment? How many angel investors am I willing to bring in to my company? 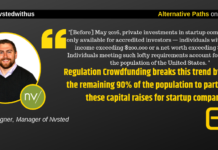 As Jeff Frankel wrote in a previous article, there are multiple types of crowdfunding. For-profit businesses typically refrain from raising money via donation-based crowdfunding, although there may be certain scenarios where it might be appropriate. Instead, startups most often turn to rewards crowdfunding (e.g. Kickstarter, Indiegogo) or securities crowdfunding (e.g. 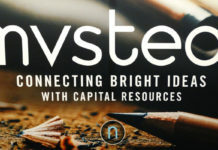 Nvsted, Wefunder, StartEngine) to get the capital they are seeking. Businesses using rewards-based sites are almost always consumer-facing product or service companies, enabling them to offer the backers – those who give financial support – a first-run prototype, early adopter discount, t-shirt, or merchandise as a reward for their funding support. Approximately 37 percent of businesses that utilize Kickstarter have a successful campaign, and those successful campaigns average about $23,250, according to Kickstarter’s website. While this may be a lot of money for a brand-new company, more established companies likely have higher capital requirements. This type of funding may be a good option, however, if you are too early-stage or simply unwilling to offer an investment opportunity. Securities crowdfunding, specifically Regulation Crowdfunding (Reg CF), allows companies to raise up to $1.07M in a 12-month period by offering securities to accredited and non-accredited investors. The securities may be either equity, debt, or hybrid, depending on which method would work best for the startup’s capital structure, and may be raised at the same time as separate angel or private investments. Reg CF campaigns are successful an impressive 60 percent of the time (64 percent in 2018 alone), and those successful campaigns raised an average of $271,000 as stated in The 2018 State of Regulation Crowdfunding report. 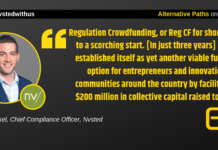 As its name suggests, Regulation Crowdfunding is a highly regulated industry and thus has some up-front costs you will need to pay in order to get documents together and run a successful campaign. Am I comfortable offering equity in my business? Do I want to run a raise that is open to the public? How will I market my raise to the public to attract investors? (Reg CF) What kind of investment terms would work best for my company? (Rewards) What can I offer that will be appealing to backers? Incubator and accelerator programs have sprung up more and more in the past decade, going from just a few dozen to over 1000 all over the United States. We’ve lumped incubators and accelerators into the same category here, but it is important to note that they do differ, often by having different levels of investment and varying criteria for startups to join. In this Inc article, Fernando Sepulveda, Managing Director of Impulsa Business Accelerator, compares incubators and accelerators to the childhood and adolescence phases of life, respectively. Incubators tend to be for earlier-stage companies and are geared towards getting the company up and on its feet. Accelerators, on the other hand, help businesses address problems associated with growth and prepare them for future investment. Incubator/accelerator programs usually run between 3-12 months and culminate in a Demo Day, where the founders get a chance to pitch their company to attract potential investors. These programs often tend to prepare startups for the venture capital world as opposed to organic growth. Could my business benefit from going through a program and receiving advice? Am I willing to give up equity in my company in exchange for advice and connections? Can I commit the time necessary to participate in one of these programs? Is my startup the type of company that will seek venture capital investment? 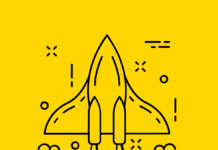 Venture capital is like r rocket fuel for startups, with big check sizes and even bigger expectations for high performance and investment returns. While it seems like every founder dreams of receiving venture capital, it is not always the best option Venture capitalists seem to agree, as only 0.2 percent of firms that seek venture capital receive the total amount they are looking for, according to a 2016 report by the Kauffman Foundation. Those companies that do receive venture funding average just under $6M in investment, so many find it worth pursuing in spite of the odds. Seed stage firms receive less – about $2.6M average per investment. Keep in mind that unless your company has mitigated its market risks and has a high chance of success, you will not be seriously considered for venture capital. Even if your business meets these criteria, you will want to make sure you are ready for the aggressive growth venture capital provides. Is my company ready (and able) to scale aggressively? Does my business fit the investment profile of one particular venture fund over another? Have I done the research necessary to understand what my company should give up in exchange for venture capital? Whatever the type and scale of funding you need to take your business from startup to growth stage, the most important thing is that you are honest with yourself when you answer these questions. Because setting your sights on the wrong kind of funding is as likely to cause your startup to crash and burn as failing to pursue any funding at all. 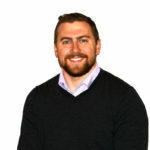 Ched Wagner is the Manager of Nvsted, overseeing the daily operations of the funding platform, including origination, company onboarding, cash flow management, compliance monitoring, and marketing. Prior to Nvsted, Ched was a personal banker for Wells Fargo in Southern California where he specialized as a Business Advocate, helping small businesses manage their finances. Ched also was previously a finance technician for the United States Air Force, and an intern for Advantage Capital Partners’ Investment Team in St. Louis.